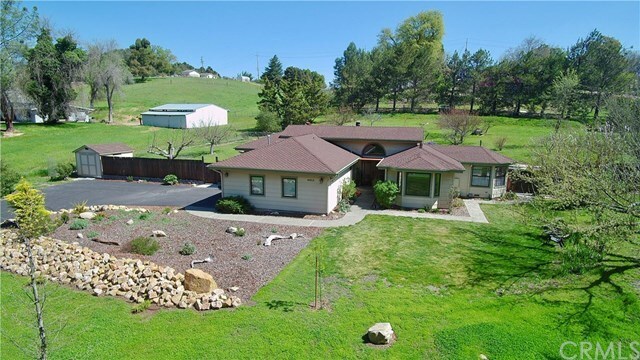 Welcome home to 6955 Los Gatos on a beautiful, fully usable, corner lot in the desirable Westside of Atascadero! This custom 2x6 built home invites you in from the long driveway up the sprawling front yard w/ lawn, mature trees & thoughtfully designed landscape! Take in the stunning curb appeal as you make your way to the gorgeous double door entry way & into the front foyer. The kitchen offers an open concept to the family room & dining nook! The beautiful updates include renovations in every room from the newly installed windows to the lighting to the many thoughtful and stylish details! The kitchen offers solid surface counters, custom cabinetry & high end appliances including Fisher & Paykel Double Dish Drawers! Relax in the family room or make your way over the formal dining & living room with your beautiful fireplace recently updated with a natural stone surround! As you make your way to the bedrooms, you will notice an amazing laundry room & powder room with granite counters & custom cabinets! The two guest bedrooms are spacious with ceiling fans & one offers hickory built ins! The guest bath is stunning & the master suite is luxurious with quartz counters, under-mount sinks, custom cabinets, beautiful shower, dual closets, barn door & so much more. Step outside to an ultra-spacious expansive redwood deck, beautiful patio and your own orchard! Septic clearance has already been obtained and the property has been meticulously maintained! Call today for your private tour!